After graduating from the University of the South, Sewanee, TN, Dr. Pegram joined the Air Force in 1959. While in the Air Force, Dr. Pegram became interested in sleep deprivation and studied the optimal work/rest cycles in pilots. Also during this time, Dr. Pegram had the unique opportunity to be a part of the team that trained Ham and Enos, the chimpanzees who preceded Alan Shepard and John Glenn into space. After the Air Force experience, Dr. Pegram completed his Ph.D. at the University of New Mexico. 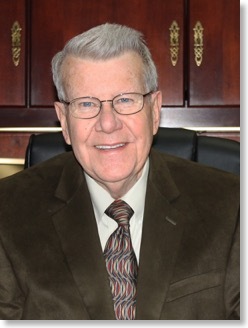 Dr. Pegram then moved to Birmingham and joined the University of Alabama (UAB) in Birmingham faculty. He was in the Department of Psychiatry and later Pulmonary Medicine, either full-time or part-time, for the next 32 years. Dr. Pegram is a licensed Clinical Psychologist (#411, 1983) and a Diplomat of the American Board of Sleep Medicine, 1978. Dr. Pegram, along with Drs. Robert Doekel and Frank Sutton, established the Sleep Disorders Center of Alabama in 1976. The Sleep Disorders Center of Alabama was the first accredited sleep center in the state of Alabama and among the earliest in the United States. Dr. Pegram was instrumental in the American Sleep Academy’s effort to establish clinical sleep centers throughout the U.S. He served on the accreditation committee of the American Sleep Academy and helped certify more than 50 sleep centers in the U.S.
Dr. Pegram helped initiate a sleep medicine review course for physicians that became the National Sleep Medicine course. He was the course director for 7 years and was a course instructor for 20 consecutive years. While at UAB, Dr. Pegram introduced first year medical students to sleep and sleep disorders, a commitment that lasted 30 years. 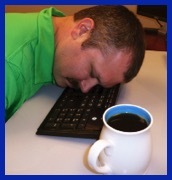 Dr. Pegram developed and taught a “hands on” course in sleep disorders for physicians and sleep technologists. This course ran 10 months per year for 16 years and trained over 500 physicians and 1000 technologists. Dr. Pegram is well-known among sleep professionals for his contributions to the development and growth of the field of sleep medicine and for his commitment to the education of both professionals and the general public. For the past 30 years, he and Doekel have worked together to establish the Sleep Disorders Center of Alabama as the leading center for the diagnosis and treatment of sleep disorders in this region. They devote 100% of their professional effort to the practice of sleep medicine and their 60+ years of experience makes them uniquely qualified as sleep specialists. Dr. Pegram received the American Academy of Sleep Medicine Excellence in Education Award for his outstanding contributions in the teaching of Sleep Medicine on 06/11/2007. Dr. Pegram has taken his retirement. We at the Sleep Disorders Center of Alabama wish him the very best in his future endeavors. Thank you for your invaluable service to the science of sleep.